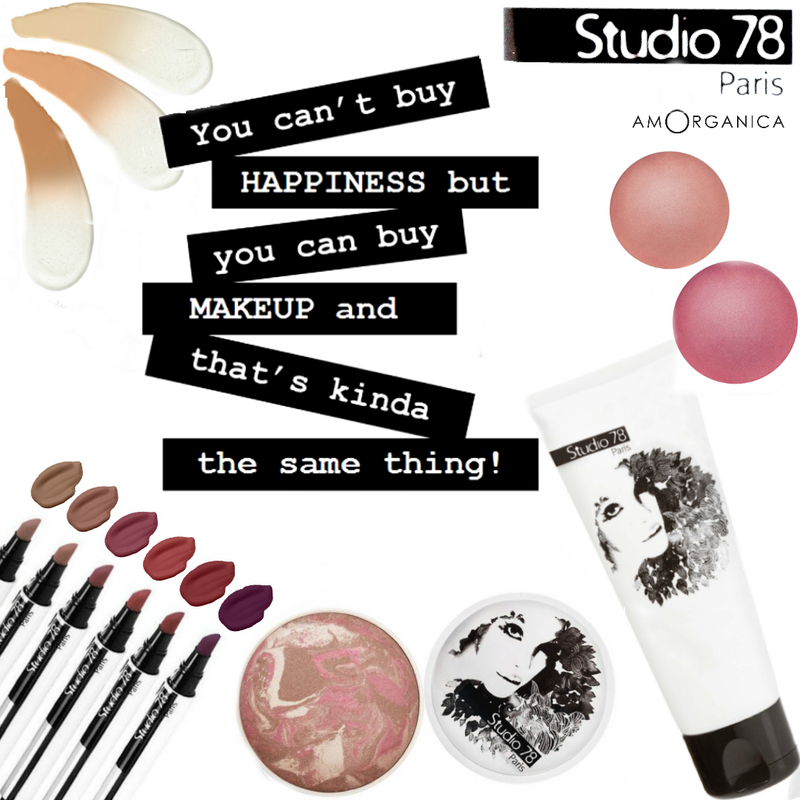 Studio 78 Paris organic make-up is different to the typical organic make-up brand, their approach is similar to that of traditional luxurious make-up brands, only with better natural ingredients! Studio 78 Paris is Glamorous, Chic and Green, and created with a baked technology formula that ensures innovative textures and smooth, long-lasting results. With their professional quality and luxurious make-up results, Studio 78 Paris proposes to solve the dilemma of having to choose between your health and beauty. Studio 78 Paris ECOCERT organic make-up certification ensures a minimum of 95% of natural ingredients in the finished product, a minimum of 95% of vegetal ingredients are from organic farming and NO GMO, NO parabens, NO phenoxyethanol, NO ingredients derived from petrochemicals or synthetic chemistry and NO testing in animals (cruelty-free). Plus Studio 78 Paris organic makeup is 100% of the packaging is biodegradable and recyclable. Margareth Halfon gained industry experienced at International make-up brand Guerlain as an assistant product manager for their highly worshipped Terracotta and Meteorite make-up lines, as well as having worked as a brand manager for legendary french make-up brand Rouge Baiser Paris, which created the lipstick in 1929. Studio 78 Paris came up as a result of Margaret's wanting an organic make-up line that didn't put side the motion of pleasure women feel when they buy make-up and the notion of glamour women feel when they touch up.